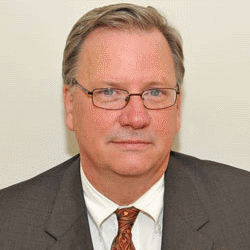 Michael Olmsted begins his association with Eurojust after a long and varied career in the USA, beginning 33 years ago in private legal practice. After next serving in the Office of the White House Counsel, he joined the US Department of Justice in 1987 as a Trial Attorney in the Criminal Division, and served as Special Counsel to the Assistant Attorney General from 1989 to 1992. Since 1992, he has represented the USA as an Assistant US Attorney in New York, and also served as its International and National Security Coordinator from 1992 until 2009. While serving as an Assistant US Attorney, Michael Olmsted also worked for the Inspector General of the Department of Justice as Special Investigative Counsel in political corruption cases. From 2009 to 2011, he was a Director of INTERPOL, and served as Special Representative to the United Nations from 2010 to 2011. Michael Olmsted is an expert in the investigation of complex white collar and corruption cases with an international focus, and on national security and terrorism matters. He has taught as an Adjunct Professor of Law at Syracuse University College of Law (USA). Mr Olmsted received his A.B. from Harvard College and his J.D. from the University of Michigan Law School.